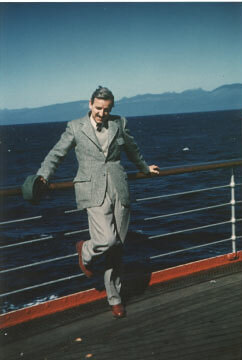 Today is the 100th anniversary of the birth of my father, John Carlton Wilds. 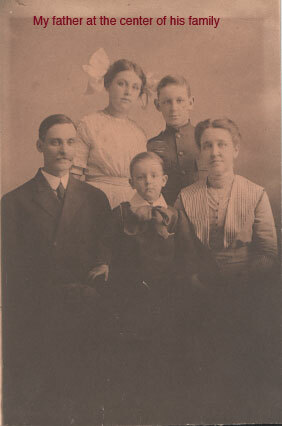 My father (always called Papa at my house) was born on February 9, 1908, in Gouverneur, NY. 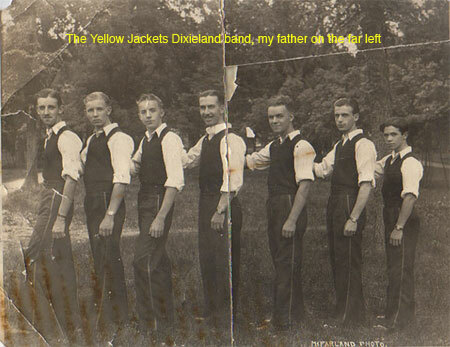 The youngest child of a methodist minister, he tested family limits by playing trombone in Dixieland, Swing and Big Band-era jazz bands. 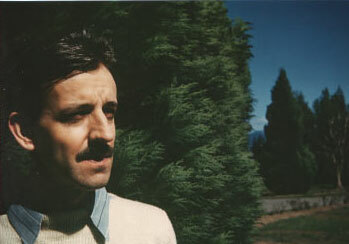 He studied psychology and become a psychotherapist and psychoanalyst. 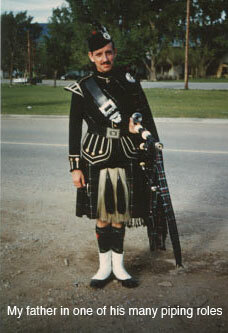 Music was an important part of my father's life; not just jazz, but especially classical music, and he was a very accomplished highland bagpiper, founder or co-founder of several bands in the Seattle area, where he had settled to start his practice. 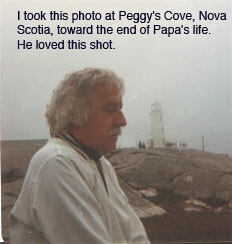 Papa died in 1974. I was young then, and my impression is of a person who could be both dignified and silly, discerning, forward-thinking and charismatic. He was so particular in his tastes and habits that at times it surprised me that he could also be a person of such great warmth and sensitivity. 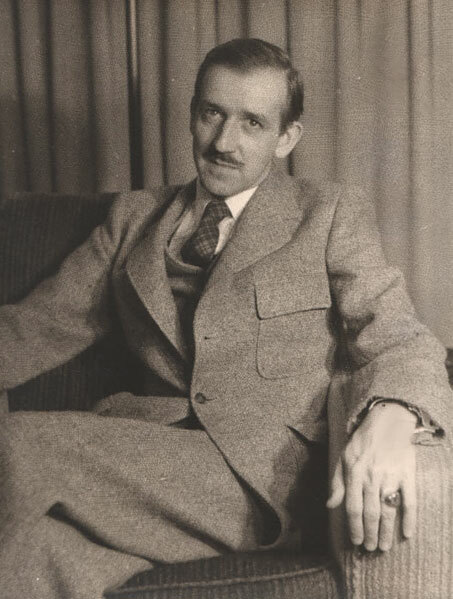 My father was the clotheshorse of the family, with two closets full of the finest Savile Row-tailored suits, Sea Island cotton shirts...he was sartorially splendid, right down to his socks. He wore tennis whites to take my brother and me to the court, and gold corduroy coveralls with a crest for looking at the engine of his car. He had cutting-edge style. I remember when my father bought a deep blue velvet tuxedo just to wear to the opera Carmen in the late 60s. 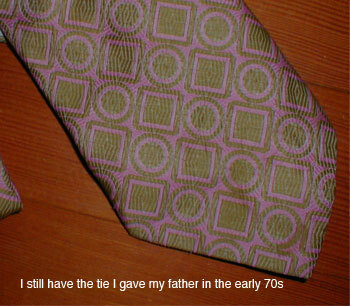 He relished wearing a deep pink shirt and pink and green geometric tie--gifts from me. His shoes were polished, he used lemon to make his hair gleam silver instead of grey, he had a manicure at the same time he got his most modern haircuts. Just thinking of him I can smell his Yardley's English Lavender after shave, the Beefeater's gin he used for his martinis, and his Mitchum mints. 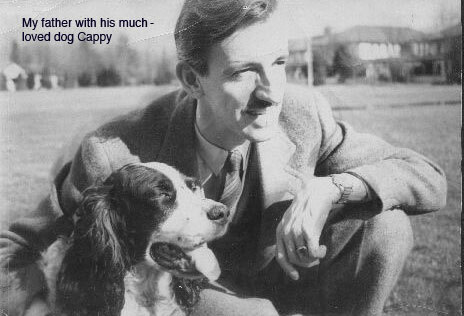 I've mentioned clothing here, but there is so much more to say, from his sports (fencing, tennis and archery), his artful black and white photography, to the great challenge of psychology as a profession at that time, and to his taste in food, politics, entertainment, travel, flowers, cars and humor. All of these are so memorable to me. Happy Birthday Papa--You're so much a part of me--I love you.